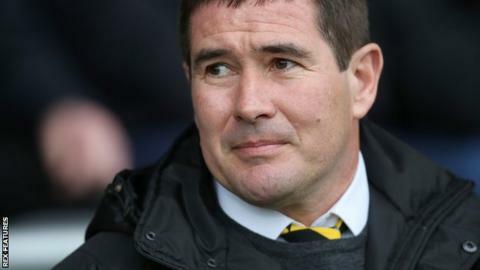 Burton Albion boss Nigel Clough says home support will have little bearing as the League One leaders attempt to get back to winning ways. Burton only took one point from two games over Easter, and are only one point clear after defeat at Millwall. When asked about the importance of having a big crowd behind them for Bury's visit on Saturday, he responded: "It doesn't matter what crowd. "It just matters that we win - any how, any way, we get three points at home." Burton have won 10 of their 19 games since Clough returned to the Pirelli Stadium in December for a second stint in charge. And the Brewers have not been outside the top two since he succeeded Jimmy Floyd Hasselbaink. When asked if his side were under pressure with Wigan now only one point behind, Clough told BBC Radio Derby: "Not at all. We are still top of the table, aren't we? It's still in our hands."